Since 2007, Apple has dutifully turned out a new set of iPhones every year, and since 2012 the launches have always been in September. With that in mind, you don't need to be Sherlock Holmes to work out that another batch of handsets are due sometime around September 2018. But what can we expect? As well as a top-tier iPhone XI (if that does turn out to be its name), we're also anticipating one or more cheaper handsets which could well be called the iPhone 9 and the iPhone 9 Plus. Here are all the rumours and leaks we've got on them so far. New iPhones appear every year in September like clockwork (apart from the occasional iPhone SE). It's almost certain that the same is going to happen again this year, with a new line of handsets including the iPhone 9 and the iPhone 9 Plus – though we're not certain those will be the names. Sometimes it takes a few weeks for the new iPhones to start shipping, but we wouldn't expect that to be the case in 2018, now that Apple and its suppliers have had a year to get used to the production of the iPhone X. As for prices, the iPhone 8 and the iPhone 8 Plus might be the best guide – they went on sale for starting prices of £699/$699 and £799/$799 respectively, so we'd anticipate that the iPhone 9 and the iPhone 9 Plus are going to hit the same sort of mark. Some reports say that Apple's next iPhones will be cheaper than normal, as the company improves and streamlines its supply chain processes, but don't count on too big a discount. 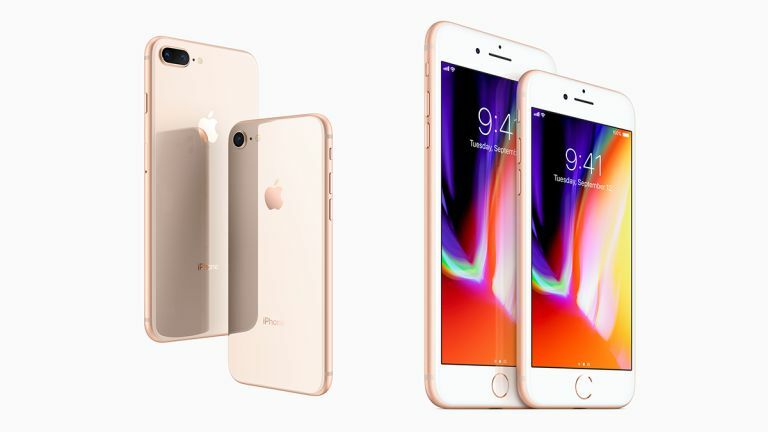 The iPhone 9 and iPhone 9 Plus phones are likely to be the cheaper alternatives to the headline iPhone XI that appears later this year, though with Apple throwing out something of a curve ball with the iPhone X name in 2017, it's difficult to predict just which naming system we'll see in September. Maybe we might even see three different iPhone X2s? If you like the iPhone X style, you're in luck: most of the rumours we've heard so far about the 2018 iPhones suggest that Apple is going to roll out the same iPhone X design across all the models that it launches this year – so that means minimal bezels and a distinctive notch at the top of the display. It's farewell for good then to the older design that we saw on the iPhone 8 and iPhone 8 Plus – the Home button and the bezels had a good innings, but the future is definitely Face ID and the notch. So how will Apple differentiate between the two or three new models it debuts this year? According to a leading analyst, the cheapest of the new iPhones will have a 6.1-inch LCD screen (not the more expensive OLED), a single rear camera, 3GB of RAM rather than 4GB, and an aluminium casing instead of stainless steel. 3D Touch would also be missing on this cheapest handset. The phone at the middle of the range would actually be a smaller 5.8-inch OLED phone with 4GB of RAM, dual cameras on the rear, and a stainless steel frame. The top-end iPhone, the rumour says, would have a 6.5-inch display. In other words, there would be a flagship phone, then two just below that – with the smaller one being the more expensive one, which suggests Apple may move away from the iPhone 9 and iPhone 9 Plus labels we're used to. In 2018, it could be the smaller phone that's the more desirable. As for internal specs, apart from the RAM we've already mentioned, the processor will definitely get another performance bump, while storage sizes are likely to stay the same across the board, starting at 64GB. A separate rumour suggests the screens of the new iPhones we see this year could be slightly curved, and able to support mid-air gestures without a screen touch. As yet though, it's not clear whether the tech will arrive in 2018 or 2019, if indeed it ever does appear. According to reports, Apple is working on brighter, more power efficient screen technology of its own called MicroLED, but it might be some time before this makes it into handsets. We wouldn't expect to see it appear in the iPhone 9 or iPhone 9 Plus at this stage. Besides the basic specs, what else will Apple be adding to the iPhone 9 phones? Given that waterproofing and wireless charging have now been added, there aren't many major features left to add in – maybe an improved fast charging system might be introduced, something we see on most Android flagships now. The cameras on the back of the iPhone 9 handsets will no doubt get a lot of attention again. This remains one of the most hotly contested battlegrounds in the mobile market, so look out for phones that take better pictures than ever. Apple might even introduce something like the dual aperture system we've seen in the Samsung Galaxy S9, giving keen mobile photographers two aperture choices for the price of one (that controls the amount of light that gets into the lens, useful for shooting pictures in darker scenes). That said, Apple is likely to save the best camera tech for its top-end iPhone, not the slightly cheaper iPhone 9 and iPhone 9 Plus (as we're currently referring to them as). We have heard whispers of a triple-sensor camera on the back of a future premium iPhone, but that's not slated to arrive until 2019. There have also been supply chain hints about improvements to the battery and the internal modems inside the new phones breaking cover this year – that means longer battery life and faster 4G/LTE speeds for everyone. With the whole of Apple's iPhone line set to adopt the bezel-free, notch design, we might well see further improvements to Face ID unlocking and the Animoji tricks that Apple debuted last year. In 2018 these features should be standard across all the handsets Apple launches. And what about battery life? Don't hold your breath for anything above the 13-14 hours of video playback that Apple quotes for the current models. While bigger batteries might be included, faster processors and perhaps larger screens should eat up the improvements – we might have to wait for the power-saving MicroLED tech we mentioned above before battery life gets a significant bump. Remember that the next batch of iPhones are going to launch at the same time as iOS 12 drops, so a lot of the new features are likely to be on the software side. Keep an eye on Apple's developer conference, WWDC, which is running from 4-8 June – plenty of iOS 12 announcements are likely to be made there. Considering the fuss Apple made about ARCore last year, more improvements to the augmented reality capabilities of the next iPhones are likely. Get ready to play even more games on your kitchen table, in other words. In terms of colours, don't expect anything too revolutionary. The silver, gold, and space grey we saw appear in 2017 will probably turn up again, and the word on the Apple street is that these shades will be the same across all three of the phones that Apple is planning to unveil. Apple just got around to launching red editions of the iPhone 8 and iPhone 8 Plus for charitable causes, so the iPhone 9 models might well follow suit. The rumour is that a new "blush gold" colour is on the way for the iPhone X too, so that might well follow on to the 2018 iPhones. Finally, would Apple ditch the distinctive notch after just one year? Apparently it's going to be staying this year, if the rumours are to be believed, but it might get banished from the front display in 2019 – by that time, the theory goes, Apple might have worked out how to get the Face ID technology and the front-facing camera under the display.